Detroit‘s Public Lighting Authority is bringing light back to some dim city neighborhoods, which have been expecting new LED streetlights by the end of the year. As the Detroit News reports, that plan is ahead of schedule. All 40,000 LEDs should be in place by the end of July. Installations are occurring in every zip code of the city, making the construction an especially wide-reaching task. Their next job will be relighting Detroit’s major streets and highways, including Michigan, Fort, Gratiot, Grand River, and Jefferson streets. That work, scheduled to begin next month, is planned to wrap up by the end of 2016. 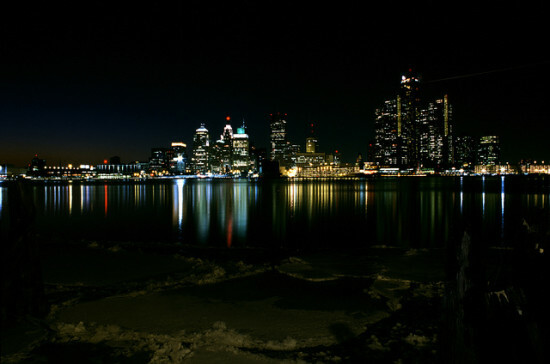 Odis Jones, executive director of Public Lighting Authority of Detroit, said streetlights are being vandalized in some areas. The authority, he said, has been monitoring the incidents and working closely with police.